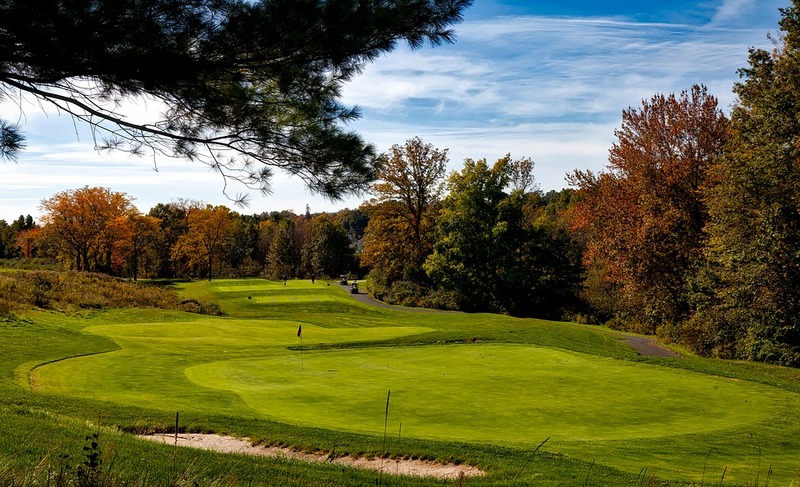 The 2017 LECOM Health Challenge golf tournament on the Web.com development tour for the PGA Tour is taking place this week July 6-9, 2017, on the Upper Course at the Peek'n Peak Resort located in Clymer, New York about 10 miles south of Lake Erie. Here is a list of the prize money up for grabs for the Web.com players at the 2017 LECOM Health Challenge. The LECOM Health Challenge on the Web.com Tour debuted last year. Rick Lamb from South Bend, Indiana was the inaugural winner. It was Rick Lamb's first career win of any kind professionally. Lamb played golf in college for the University of Tennessee where he won three events and finished in 2nd place at the 2013 NCAA Division I Championship. His twin brother Scott played on the PGA Tour Latinoamerica in 2016. This is the 15th Web.com event of 2017. Kyle Thompson, Andrew Landry, Ethan Tracy, Andrew Putnam, Casey Wittenberg, D.H. Lee, Matt Atkins, Nate Lashley, Stephan Jager (2 wins), Conrad Shindler, Aaron Wise and Adam Schenk won the first 13 events of the year with the 14th winner not decided at press time. Total prize money up for grabs at the 2017 LECOM Health Challenge is $600,000. That's the same amount of prize money that was up for grabs last year. Any player who wins three times on the Web.com Tour automatically earns their PGA Tour card. The winner of the 2017 LECOM Health Challenge will earn $108,000. The same amount of prize money Rick Lamb earned when he won this tournament last year.